Sun Protection. If I Knew the UV Protection Benefits That I Know Now. such a great MOTIVATION for everyday folks like myself!" Sun protection must be practiced daily in order to prevent or delay skin cancers such as Malignant Melanoma. Your eyesight might potentially suffer from Macular Degeneration and other diseases too if you fail to practice sun protection and sun safety. It's easier than you would think. The market has responded and now there are multiple companies offering a whole variety of sun protection products for your daily use. This site is built upon real life experiences as well as information from experts who are deemed very reliable. Whether one life gets saved because of this site or many(we hope thousands! ), then our time and efforts have been well spent towards a great cause. However, this site is dedicated to saving many lives. The ultimate goal of this site is to inform as many people as possible about the dangers of being in the sun and therefore avoiding sun damage and skin problems. There are many ways to start protecting your body from head to toe right now. This will promote a healthier you and healthier skin. The human skin is your largest organ after all. It’s sometimes hard coming to terms with new habits, but you should accept them with open arms especially if they are good for you. After years of being outdoors or driving your car in your daily route, you will discover that a little effort will go a long way in saving your skin, your eye sight as well as your overall health. Sun protection is your number one priority! Once you find Sun-Protection-And-You.com useful, please feel free to like us on Facebook using the button below and share the information on Facebook and Twitter as well using the buttons further down at the bottom of the page. • How do you protect yourself from the sun's damaging uv rays? • How could your eyesight be in danger and not even know about it? • Why do you see more and more people walking with umbrellas and it's not even raining? • What is it with these very wide brim hats? • How good are the sun protective apparels coming into the market? All your questions and more, are answered in the following pages. Sun protection hat or UV protective hats are your best chance to have UV protection against the sun's ultraviolet rays or ultraviolet radiation. Sun protection umbrella or UV beach umbrella are designed to keep you protected from the sun's harmful ultraviolet rays or ultraviolet radiation. Sun Protection Clothing Benefits You. Would You Put Your Health at Risk? 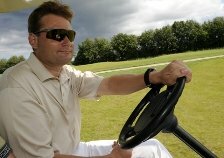 The uv sunglasses can keep your vision safe. There are flowers, trees, lakes, and oceans to be seen along with other natural wonders. SPF clothing is really sun protection clothing with sun protection factor all in one. Normally, SPF ratings are for sunscreens but some companies tend to use them for clothing too. Organic Sunscreen or Natural Sunscreen the Best Biodegradable Sunscreen For You? Organic sunscreen or natural sunscreen normally uses nature made ingredients. This kind of biodegradable sunscreen protection may be the best sunscreen for you and your environment. Swim Shirt, Swim Shirts or UV protection swimwear are just as important as sun protection shirt. They all protect your skin from dangerous ultraviolet rays. Baby sunglasses are like your starter kit so you can protect your baby's eyes from the harmful effects of ultraviolet radiation or ultraviolet rays. Now that's real baby protection. 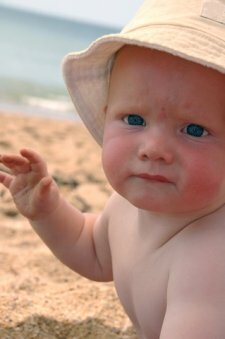 Infant swimwear or baby swimwear with UV protection are just as important as any sun protection hat or UV protection hat that you use for them. Kids Swimwear, Childrens Swimwear or UV Protection Swimwear and SPF Swimwear? 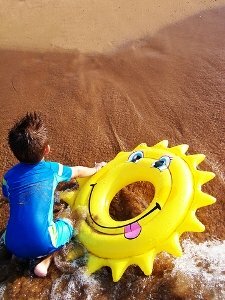 Kids swimwear, childrens swimwear or UV protection swimwear are just as important as sun protection shirt and clothing. All of them protect your skin from the sun's dangerous ultraviolet radiation. Patio umbrella must be part of your sun protection system at home every time you plan to spend time outside in your back yard or patio. Solar film for windows is available in a variety of shades or tints. This provides you sun protection and also up to 100% blockage of the skin cancer causing ultraviolet rays. 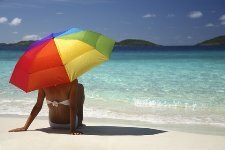 Malignant Melanoma and Sun Protection, Are You at Risk? Malignant melanoma is the deadliest form of skin cancer. However, if it's caught in time the cure rate is very high. How does it happen and why? Sun allergy could be triggered by sun exposure when you are not wearing any sunscreen, sun protective clothing or UV hat. 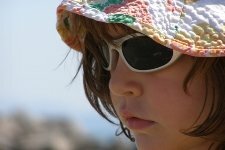 Macular Degeneration and Sun Protection, Are You Protecting Your Eyes From UV? 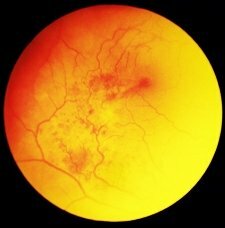 Wet macular degeneration is one of the worst eye diseases around. 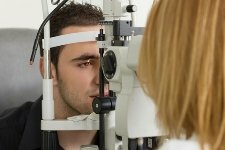 Here is what you need to know with the hope of preventing macular degeneration. 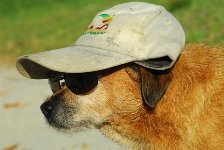 The Sun Protection Blog keeps you informed and up to date with any changes or additions to the sun-protection-and-you.com web site. Subscribe here. Math games for kids could be a lot of fun and a great learning experience.Since it's done as a game, it will be perceived as such and not as homework. Our site search page provides you with what you are looking for. Your SPF clothing reviews and stories, will be published here. Site Map for Sun-Protection-And-You.Com . Find it Here! This site map dislays links to many pages of sun-protection-and-you.com for your convenience. Mohs skin cancer surgery is performed by trained surgeons and dermatologists. This is essential when saving every millimeter of your skin makes a difference. Sun Protection Clothing Is One of the Best Inventions of Our Time! Sun protection clothing is truly one of the lesser known inventions to the general public. However, if you are reading this you are already on your way. SPF clothing protects your skin all day long, without the need to re-apply anything except where your skin is exposed such as your face and hands. It is time to start thinking about sun protection clothing. Clothing that is light weight and made of tightly woven fabric provide the maximum comfort and sun protection. The good news is that sun protective clothing is available to protect us from the dangerous UV Rays. Sun block clothing or sun protective clothing, are clothes specifically designed to keep dangerous ultraviolet radiation from reaching your skin. SPF clothing stands for sun protection factor clothing. They are clothes that are stitched together using tight fabrics in order to block out ultraviolet rays from the sun. Sun clothing absorbs some of the harmful radiation, and converts it to heat. When choosing the right sun protective shirts, you must go for what are comfortable, breathable, and easy to care for, affordable and certified UPF products. Who thought that sunscreen clothing are only for athletes, outdoorsmen and other people who spend a great deal of time under the sun. When coupled with the appropriate UV protection clothing, your liberal applications of sunscreen and sunblock will provide more protection than ever. sun protection ezine is where you will important news and information about sun protection. The signs of skin cancer can creep on you and turn into a major problem, if you don't know how to find them. You can do self exams many times to find these signs. The link between skin cancer and tanning beds has long since been known and yet there are still so many people who tend to ignore all the warnings. Skin cancer awareness has certainly improved in recent years and yet the number of people suffering from melanoma has continued to increase at an alarming pace. 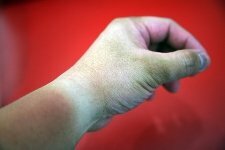 Skin cancer warning signs are certainly not what most of us would like to see, but at least they can alert us that something is out of order. You must not dismiss nose skin cancer if you believe that you may have it. The reasons are very obvious, of course, as skin cancer in any part of your body is a dangerous thing to possess. The prevention of skin cancer is a very easy thing to do. But still, so many individuals fail to adopt the necessary measures and, hence, end up with the disease. 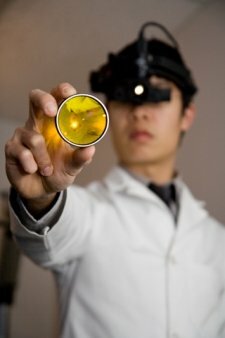 Year after year, skin cancer research conducted by the science community continues to provide more and more life-saving information about the disease. When it comes to skin cancer cells, medical science continues to make new discoveries on the ways and means to kill them. For the tanning industry, skin cancer from tanning beds is almost impossible for two misleading rationales. Skin cancer on the face is something that should not be dismissed as just blemishes on your cheeks, nose and forehead. Skin cancer on nose is on the rise, which is unfortunate considering that it can be prevented by a few simple measures. When you hear the words malignant melanoma skin cancer, you will most probably be afraid. All you will hear are the words "malignant" and "cancer" repeating over and over again in your shocked mind. For people diagnosed with melanoma skin cancer, it might seem that successful treatment is next to impossible. In the United States, Skin Cancer Awareness Month is usually celebrated during the month of May. 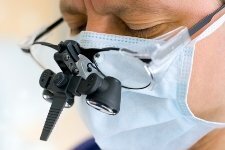 The right choice of skin cancer doctor can spell the difference between success and failure in treatment. Sunglasses, sun tan lotion and sun block lotions are the top commodity during summertime. As the long stretch of sunny days begins, so are longer hours of sun exposure. Many people that wear prescription glasses also have magnetic clip on sunglasses. These are the latest in fashion and much more secure than the old clip-on style of sunglasses. Military sunglasses have been in existence for many years, particularly in the Air Force since they have long used very dark tinted lens as a way to help fight the glare during high altitude flights. If you wear glasses, you may consider investing in perscription sunglasses, that way you have your regular glasses for indoors and a special prescription pair to protect your eyes when outdoors. Polarized bifocal sunglasses are a great option if you wear bifocals and you spend time reading outdoors. Many people love to read outdoors and this is wear these glasses come in handy. If you normally wear bifocals or have trouble seeing fine print, you might want to look into reader sunglasses. Reading sunglasses are quite necessary for many people to wear, since they spend a great deal of time outdoors. Have you noticed lately that many actors and actresses are wearing retro sunglasses? Of course, when the public begins to see stars wearing a specific fashion, they begin to copy it. You need safety sunglasses to shield your eyes in certain jobs situations. Jobs that have you work outdoors such as construction, road work or lawn care, are cause for you to wear these sunglasses. The ski sunglasses give the skiers more than just clear vision on the slopes. 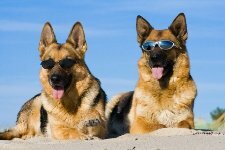 They also provide them with uv protection. Good uv protection sunglasses safeguards your eyes against damage from the sun. The sun's rays cannot only damage your vision but cause eye diseases to happen too. The wholesale designer sunglasses today will do more than just save you money. Many of them give your eyes the uv protection that is so important for them to have. The wrap around sunglasses cover more of your eye area and therefore can give you more uv protection if they are made right. The lenses conform to the face more than regular sunglasses. The uv eye protection provided in sunglasses is a must today if you want healthy eyes. More than ever before, we understand the negative effects that the sun's rays can have on our eyes. The light up sunglasses that you have seen at parties, are a lot of fun, but they are not good uv protection. These are just for fun to wear to special events like parties or to play in. The running sunglasses should be worn by you when you run on a daily basis or in marathons to protect your eyes. If your eyes get tired you might not run as well for one thing. Pictures of the sun give you a glimpse of what is waiting for you out there. Pictures of sunset not only give you a sense of calmness, but also bring out the romance in both of you. Picture of the sun is great to look at, but never endanger your eyes by looking at the sun directly. Pictures of sun can create a fascinating ambience which is unmistakable with any thing else. 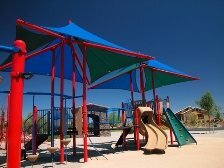 The device known as a sun shade canopy has witnessed a very significant rise in popularity in recent years. 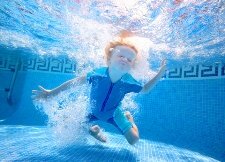 Toddler water shoes are one of the most important things you should equip your child with, if you are planning to take your child to some water park or beach. Sun protective hats are ideal if you love the outdoors and like to hike, swim, fish, travel, or simply laze around on a hammock in the sun. A tilley hat can be your head's best friend. Whether your head remains exposed to the sun when you walk or lie lazily on a beach or when you slash your way through an exciting jungle trip. Tilly hats will offer protection in all types of weather. Your love for outdoor activities can keep you in good health provided you remain safe from over-exposure to the harmful effects of nature . You should wear a womens sun hat if you are a woman that wants to remain protected from the stinging sun without sacrificing your style quotient. When thinking of solartex, you should be thinking about ultimate skin protection. But think deeper than this. This is not just about protecting your skin but rather about protecting your life. There is more to SPF clothes than you might think. Even if you have all of the sunscreen you could ever want, you are going to still need to make sure that you are taking extra precautions. You need proper SPF rating in order to make sure that you and your loved ones are getting all of the protection that you possibly can. When it comes to sunblock clothing, you are going to find that some pieces of clothing are going to be better than others. You need UV clothing if you want to make sure that your family is as protected as they could possibly be. Things such as UV natural sunscreen are things that you simply do not want to ignore. In medical terms, a melanocyte is the normal skin cell responsible for the production of melanin. Everybody has melanin in their skin, hair and parts of the eye since it provides color to these areas. A scalp sunscreen may seem preposterous to many people since the scalp is protected by the hair and headgear. Shopping for SPF hats should be at the top of your list if you spend a lot of time outdoors. The UV rays from the sun can be damaging to the skin if it's not protected. There are plenty of sun hats for women that are very affordable as well as stylish. You don't have to bust your budget to get your hands on a hat that provides excellent sun protection. Sun Visor Hat - Why Do You Need One? Ever wondered why a sun visor hat is so famous amongst adventurers, travelers and, basically, people who spend a lot of time outside? Considering sun protection clothing such as sun gloves can be useful tools toward protecting you against the dangers too much sun can cause. Sun protection gloves is the one which is often never considered by even the most avid and experienced hiker. Use of a sun sleeve is something escaping every avid skateboarder who enjoys as much time as possible pursuing their craft in the fresh air of outdoors. Choosing an outdoor umbrella to provide the necessary cooling shade and sun protection on a hot, summer day may seem a daunting task since there are so many from which to choose. 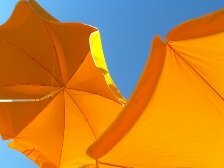 Outdoor umbrellas can protect you and your loved ones when seeking fun-filled activity under the summer sun. Gathering with loved ones for an afternoon backyard barbecue is enjoyable. 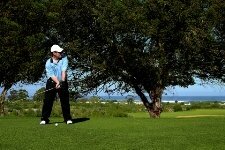 UV outdoor shirts are some of the most useful Sun protection clothing elements. These Sun protection shirts protect you and your upper body in particular, where your sunscreen just can't. Sun protection and you, is all about sun protection and its related diseases and conditions. All efforts have been made to explain the benefits of UV rays blockage and Ultraviolet rays clothing usage.